HomeQuack TreatmentshomeopathyAre There Any Homeopathic Hospitals in the UK? The publication of the report of the House of Commons Science and Technology Committee Evidence Check into Homeopathy has resulted in a lot of misinformation about how much public money is spent on homeopathy. The report states that there are four homeopathic hospitals in the UK, based in London, Bristol, Liverpool and Glasgow. How much do these hospitals cost and what exactly is going on within these institutions? Various figures abound. The Society of Homeopaths, misleading as ever, chose to highlight the lowest figure they can find and state in a recent press release that the NHS spends £152,000 on homeopathic medicines. The irony of this is that homeopaths claim that the benefit of homeopathy comes from the ‘whole package of care’ and not just the pills. What this complete package costs is more difficult to discover. The Guardian has reported that a Freedom of Information request suggested that the NHS spent about £4 million per year on homeopathy. What is widely unreported is that the MPs, in their report, state quite clearly that it is not known how much is really spent. These figures are almost certain to be inaccurate and underestimates as they do not take into account all costs. For example, the Royal London Homeopathic Hospital has recently undergone a £20 million refurbishment and such figures do not reflect such expenditure on maintenance and running costs. The report requests that the government investigates and publishes what the true costs have been over the past ten years including purchasing of the sugar pills, referral and running costs. Gone are the full range of services you would expect from a hospital with in-patient facilities, dedicated buildings, independent management and budgets. However, it is also worth investigating what the true nature of the services are in these homeopathic hospitals. The four remaining hospitals are used to legitimise the nature of homeopathy both here and abroad. If the NHS provides public NHS hospitals then it must be a valid treatment option. The truth is though that these four hospitals are not really hospitals at all. They are the sad vestigial remnants of what were once proud and well funded homeopathic hospitals reduced to rooms and annexes of real hospitals. The UK once boasted many homeopathic clinics and hospitals, mainly founded in the Victorian age by rich and aristocratic benefactors. Many small hospitals existed in the rich spa towns and South coast resorts where the wealthy and aristocratic could indulge in their exclusive magic medicine. At the beginning of the 20th Century, the support of the aristocracy waned and it was left to industrialists, such as the tobacco magnate Wills, in Bristol, and the sugar family of Tate in Liverpool to fund the philanthropic city homeopathic hospitals. Come the foundation of the NHS, the few remaining homeopathic hospitals were nationalised as part of the wide ranging negotiations between doctors and the government in the creation of welfare state. Since then, the homeopathic hospitals have been in continuous decline with the complete closure of the remains of Tunbridge Wells Homeopathic Hospital almost two years ago. So, what is the status of the remaining four? None can really call themselves hospitals anymore. Gone are the full range of services you would expect from a hospital with in-patient facilities, dedicated buildings, independent management and budgets. Instead, we find mainly simple out-patient facilities annexed to bigger institutions. We are not given any references to evidence for this. It is ironic that the ASA has found lay homeopaths in breach of their rules for making similar claims. Liverpool Homeopathic Hospital is now perhaps the saddest of all the old hospitals. It now occupies space in the Old Swan Health Centre and no longer calls itself a ‘hospital’ – just a department. It protects the DNA of healthy cells from the harmful effects of cell toxins. It makes the effects of chemotherapy or radiation treatment more tolerable and lessens the damage caused by these treatments to healthy cells. Mistletoe has been tested extensively as a treatment for cancer, but the most reliable randomised controlled trials fail to show benefit, and some reports show considerable potential for harm. The costs of regular mistletoe injections are high. I therefore recommend mistletoe as a Christmas decoration and for kissing under but not as an anticancer drug. At the risk of upsetting many proponents of alternative medicine, I also contend that intuition is no substitute for evidence. So, Liverpool homeopathic hospital has not just shrunk in size, but shrunk into complete mystical delusion and cancer quackery too. The Royal London Homeopathic Hospital is the flagship institution in the UK. It is undoubtedly known as the most famous homeopathic hospital in the world – but a hospital it is not. Like the other facilities, London now occupies a fraction of its former space. Still housed in its traditional building, with its famous sign outside, the homeopathic facility is now reduced to one floor, and even this space is shared with other complementary therapies. The rest of the building is used by University College London Hospitals and their witchcraft occupant must be something of an embarrassment to them. The RLHH lost is status as an independent hospital in 1974 and has been withering since. It is quite possible it will disappear entirely and the remaining doctors who cling to their homeopathic beliefs know it. They defend their facility by making a virtue out of the fact that that they can offer other forms of quackery too, like acupuncture and nutritional therapy. They even have a specialist clinic run by Dr M Taufiq Khan for homeopathic treatment of foot problems. The Marigold Clinic uses sugar pills and magic water to treat Verrucae and Athlete’s foot. Dr Khan is also able to offer an ‘authentic range’ of Marigold foot care homeopathic products through his web site at marigoldfootcare.com. Apparently, as was spotted by David Colquhoun, 4.2% of all prescriptions at RLHH are paid to Marigold Footcare Ltd. It’s a rather blatant conflict of interest – the RLHH not only appears to be a remnant of Victorian quackery, but of antiquated medical ethics too. Perhaps, the best thriving NHS homeopathic clinic is in Glasgow where the ‘Centre for Integrated Care’ has a purpose built clinic in the grounds of Gartnavel General Hospital. The homeopaths boast of their ‘design team’ that created the new building at a cost of £2.8 million with an annual running cost of up to £1.9 million. What is a pity is that such a building could be using money to offer evidence-based palliative care and support for those with serious chronic illnesses, but unfortunately it is run by homeopaths who really believe their magic sugar pills will do the trick. The Greater Glasgow Health Board had considered closing the clinic down but the Scottish homeopaths appear to be quite good at mobilising support. They use the language of ‘integrative care’ to disguise their homeopathic quackery and turn the issue onto one of ‘freedom of choice’. Of course, this choice ignores those who wish the money to spent on care that does not depend on voodoo thinking and misleading people. The homeopaths are right about one thing: the amount of money being spent on these tiny facilities is not large within the grand scheme of things. But the millions that is spent on indulging the homeopathic fantasies of these few doctors is still money that could be spent on treatments that have an evidence base, that are based in science and not magic, that could provide effective treatments and even save lives. But what is really wrong about these facilities is that they allow a double standard to exist and fester in an environment where it is important to hold all treatments to the highest levels of scrutiny. 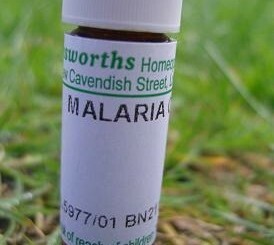 Homeopathy cannot demonstrate any cost-effectiveness, it poses serious ethical issues that remain unaddressed by its practitioners and it gives an imprimatur to the non-medically qualified homeopathic quacks who use the same reasoning to inflict their murderous delusions on people with AIDS or malaria in developing regions, such as in Africa or India. If the NHS cannot recognise the blatant nonsense it funds, it does not bode well for the same people fending off the far more sophisticated drug companies when hard decisions need to be made. The politicians will be spineless here. But the managers in the PCTs who control the budgets can do no worse than follow the example of West Kent PCT and recognise the serious issues funding homeopathy raises – and stop it right now. These vestigial stumps will not be missed. Time to let them go. They are on borrowed time and we need to be concentrating on bigger problems. 20 Comments on Are There Any Homeopathic Hospitals in the UK? It’s like the homeopathic colleges where lay homeopaths go. Aren’t they just jerry-built extensions on suburban 1930s houses? Thanks for this post. It had been vaguely bugging me for a while waht this ‘hospitals’ actually consisted of, so I’m glad you’ve taken the trouble of looking into them. I walk past the Glasgow “Centre for Integrated care” every day on my way to work. It is a large, modern, and extremely welcoming building. I find it most worrying that £1.9m is continuing to be spent on it despite the desperate need to upgrade the Gartnavel General Hospital it shares a ground with. Even worse, the Homeopathic “hospital” is strategically located across the road from the Beatson West of Scotland Cancer Centre and you must pass it on your route from a local train station to the Beatson. I wonder how many cancer patients, worried about their illness or suffering from side effects of chemo, pop into the homeopaths in their nice fancy building and are fobbed off with sugar pills. Thanks, cracking way to chart the downfall of these bastions of homeopathy – or crumbling edifices, depending on your point of view. I look forward to the updates to this post as one-by one the remaining ‘hospitals’/departments/rooms/imaginariums go the way of Tunbridge Wells. Btw, is intuition is no substitute for evidence the greatest put-down ever published in the BMJ…? You’ve probably all seen this from Mitchell & Webb. Rather brilliant. 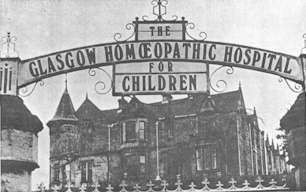 The twenty-first floor is attempting to mobilize Scots about the Glasgow homeopathic hospital: http://www.thetwentyfirstfloor.com/?p=125 (as health is a devolved issue). There is a 1974 contract relating to building use that states that the homeopathic hospital cannot have it’s building use altered if people are still using it. At least that’s what a 2004 report said awaiting FOI updates on the matter and hope to be able to report on the extent of quackery in the Scottish NHS soon. would it be physiological, scientific, democratic, despotic, biased or pathological when a committee of 14 returns 3 votes to 1 condemning NHS homeopathy where 2 of those 3 were not present at the presentation of evidence? That’s a 10:4 abstension and even proportional representation would deem the result invalid…..unless you could point out to me how my reading of the data has failed, please? Hello Dr Sikorski – homeopathic physician of Kent. It would appear to be standard form for homeopaths, that when they have no answer to the science, they attack the people and the processes. The continuous shameful attacks on Edzard Ernst, the campaign against Dr Evan Harris MP – you really are in bad company Dr Sikorski. I am not an expert in House of Commons procedures but I would think that the Science committee is much like any other in their – fluid and rather small, with minor amounts of commitment from most members. But the report stands as insightful, comprehensive and authoritative. That is why the homeopaths start playing dirty tricks – honest responses are beyond them. Homœpathy is a pure fraud. * A convex combination of the above. I am confident that I know which of these Sikorski belongs. I wonder if he does? P.S. Like the admin, I would be shocked to the core to receive an honest response from Sikorski, one absent of basic logical fallacies, (or, for that matter, from *any* alt.med quackaloon.) But hope springs eternal. Absurd risible calumny is their only calling-card. Hold on. I though homeopathy was tablets too where remedies were chosen by matching the symptoms. And they are sold by huge companies that make profits from these NHS hospitals, Whose side are you on? Have YOU tired it? Millions of people have and have received help for their aliments in last 250 years. The sooner they are all gone and forgotten the better. Just knowing that there is something out there called a “homeopathic hospital” is enough to give me Misery-esque nightmares. As a matter of interest, do homeopathic “hospitals” use soaps and disinfectants to clean hands, linen, surfaces and implements? Or do they employ crystals or prayer or some other magic instead? As their patients generally consist of little more than “the worried well with too much money and insufficient common-sense”, does it matter what hygiene interventions are used in the homœpathetics’ non-procedures? My curiosity about the promotion and use of iscador was provoked by your post and by my wife’s reminder that we had a friend who travelled to Switzerland to be treated with it in the 70-s. So I did some googling to see how the NHS homeopathic hospitals use iscador to promote themselves. 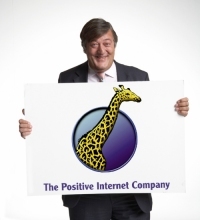 As mentioned in the comments on your post “Liverpool NHS PCT Offering Quack Mysticism as Cancer Cure”, the Royal Liverpool HH seems to have self-censored the website, which no longer mentions iscador. However, they haven’t told CancerUK yet. (tiny.cc/pmbv0). This does not have a website, but the Clouds Trust (tiny.cc/tbbd3) says: “As well as Homoeopathy, the hospital can offer Iscador therapy for some cancer patients”. I was interested to learn that the Royal Glasgow Infirmary is procuring iscador on behalf of the Glasgow Homeopathic Hospital. They seem to think that iscador is a homeopathic remedy. This hospital has closed, but CancerHelp UK hasn’t updated its “fact sheet”. You have dealt with the issue about promoting iscador in the face of evidence that this is at best pointless. However, there is another issue about the propriety of an NHS organisation or charity advertising a particular product (and using the trade name as a generic) on its website. I am sure Big Pharma would love to be able to do this, but, I haven’t seen it. Even calling them ‘clinics’ gives them undeserved legitimacy. Any suggestions for a more appropriate word? Yeah, thought about that, too… Seen so many fishy “clinics” and “institutes” here. I think “shop” or maybe “service something” would be more appropriate names. It saddens me that every year millions of pounds of taxpayers money (I’m a UK taxpayer by the way) goes to prop up these charlatans and frauds. Have we lost our bl**dy minds? Can’t we sieze the opportunity during this time of austerity and budget cuts to strip this ridiculous expense away?